17 Jan NATIONAL TITLE FOR SECOND TIME !!!! 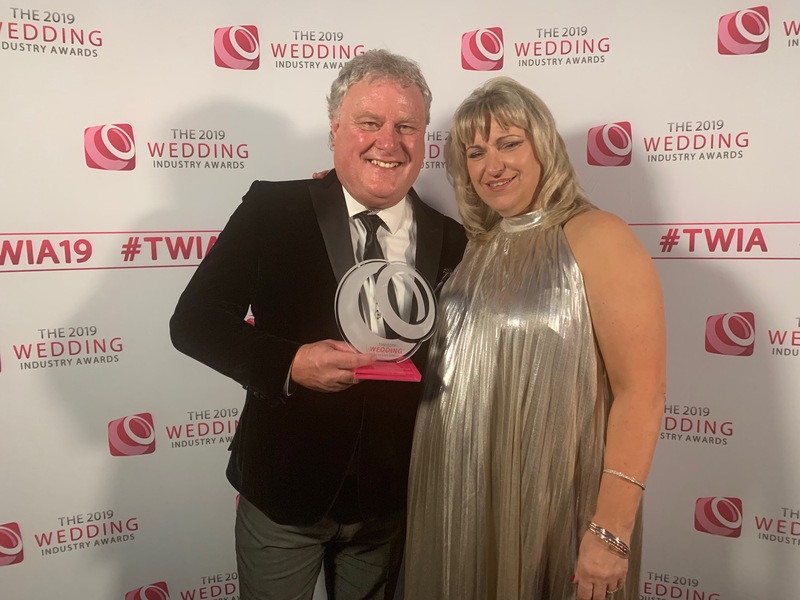 Silverline Limousines & Wedding Cars were crowned national best wedding transport provider for the second time at “The Wedding Industry Awards ” held at the Café de Paris in London last night. A fabulous glitzy affair brought together the crème de la crème of the wedding industry from all parts of the country, The suppliers up for the national awards had already won their competitive area stage and each of the twenty four categories had representatives from the Yorkshire & North East, North West, West Midlands, The East, South Central, South East and the South West. The evening was hosted by Damian & Anna Bailey “The Wedding Industry Awards” founders and chairman of the judging panel. Obviously Silverline were in the transport supplier category and we watched and saw the emotions of winners & losers as each category progressed, Having won the national title in 2018 we were nervous but so keen to defend our title … Had we done enough? the competition were all fantastic, professional companies, Our category was announced and we learnt that there was to be a highly commended award !! … Churchtown Wedding Cars were announced as the recipients of this who were previous winners in 2017, “The winners are” came crisply over the room … Silverline Limousines & Wedding Cars !!! YES, YES, YES !!! WE HAD DONE IT … The fist pumps and joy (later to be seen on video) were highly evident as we went to collect our treasured jewel. Our celebrations last night then began and the musical entertainment was provided by The Funtime Frankies who were excellent and twice previous winners of the best musical entertainment category .